Estate Agent Poster Light Pockets are LED poster cable displays that can be ideally used for estate agents, beauty spas, hair salons or stores. 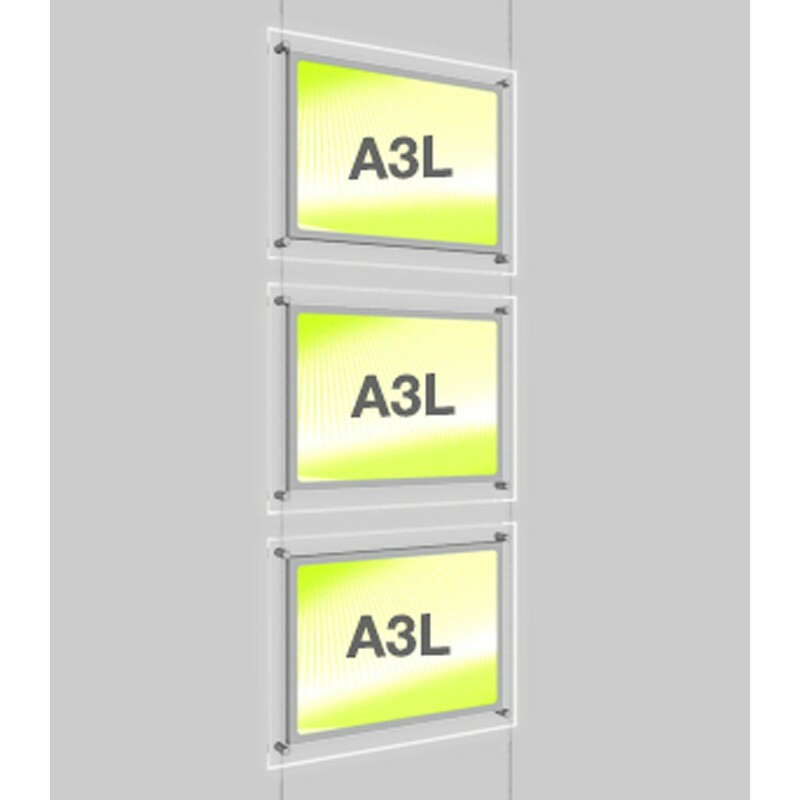 Offering enhanced LED light display screen, promotional panels are the easiest way for estate agents to display properties information and details. 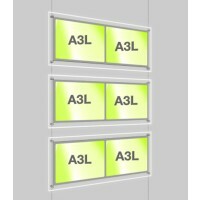 Available with three A3 sized advertising panels and floor to ceiling cables, display pockets are easy to install and need minimal maintenance. 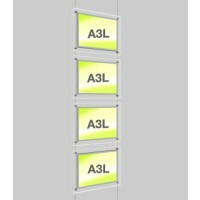 Landscape light panel kit can be used at chain restaurants, operation stores, commercial centres, supermarkets, etc. 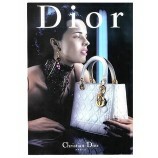 and as interior decor accessories, company signboards, and more. Display screens can be useful in drawing the attention of the clients towards the advertising text displayed on the screen. •	Light Panel Applications: product display panels can be used in a wide range of commercial applications, including retail stores, airports, exhibitions, and social events. 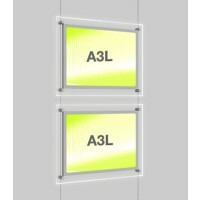 Illuminated landscape panel kit can also be used as signboard for a company, at chain operation store, commercial centre, supermarket, bank, bus station, etc.